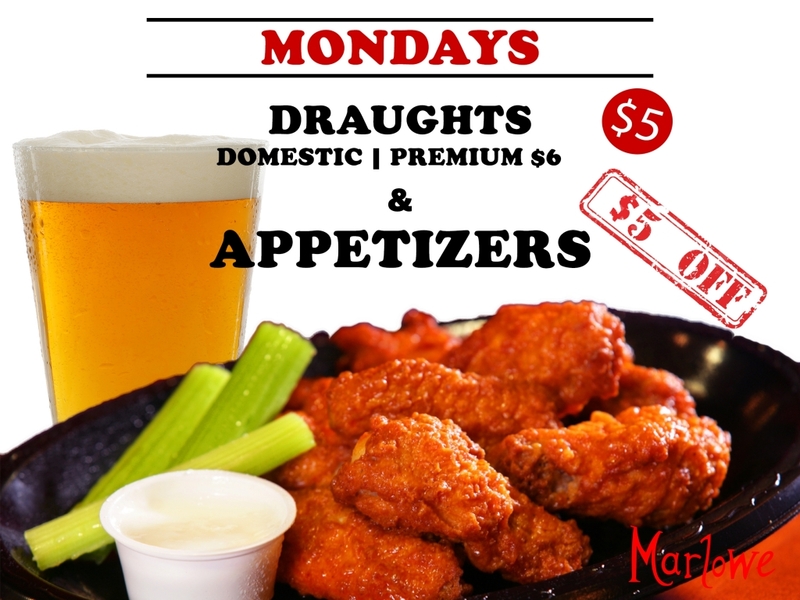 Latin Fiesta Wednesdays! 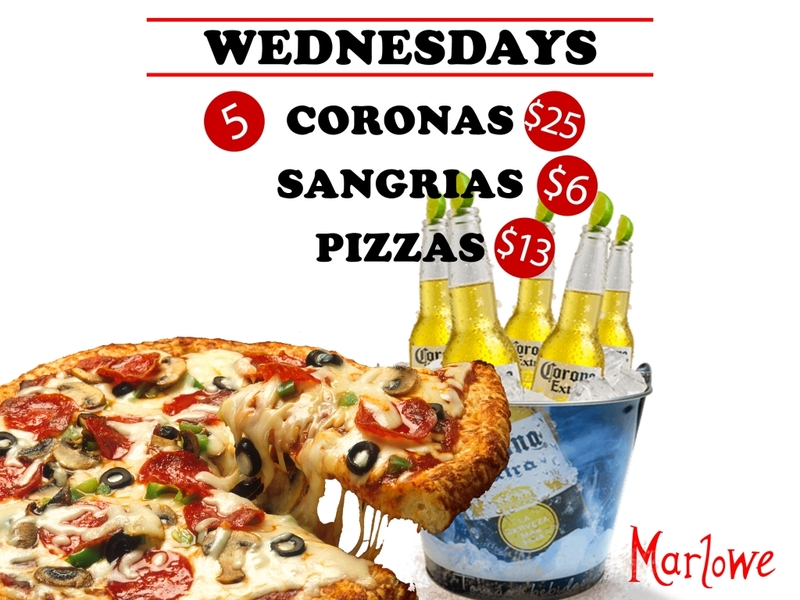 Every Wednesday 5 Corona's for $25 & $13 Pizzas! 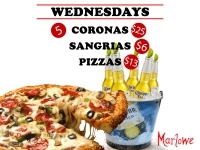 Join us for Salsa and Bachata dance with live DJ and bands every Wednesday! Free beginner dance lessons start at 9:30 PM. 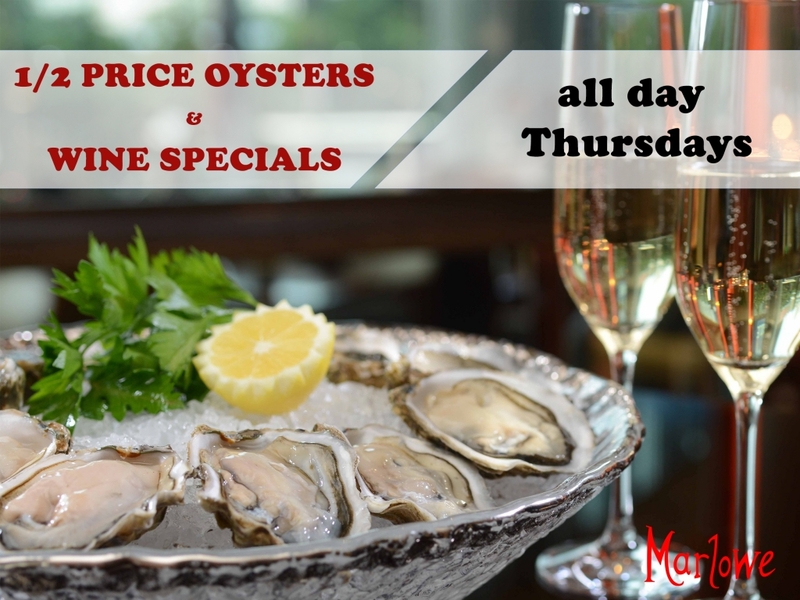 Oysters, Wine & Live Music - Every Thursday at Marlowe! 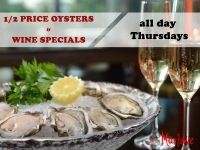 Thursdays 1/2 Price Oysters! 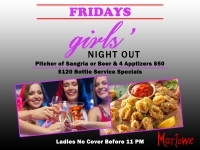 Fridays Ladies' Night Out! 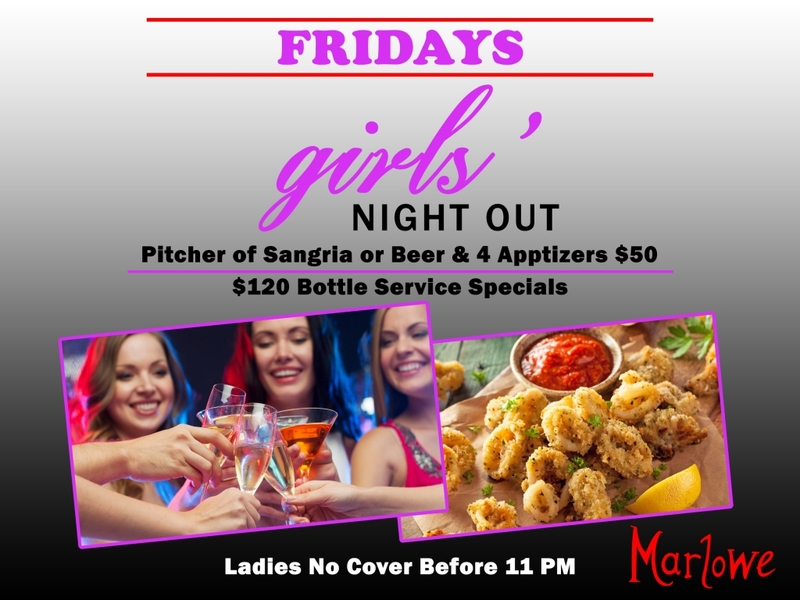 Every Friday Ladies' Drink & Appetizer Specials!